WASHINGTON — Police say an aggressive driver on Maryland roads rammed at least two other cars Tuesday morning before he confronted state troopers while armed with a gun and a knife. 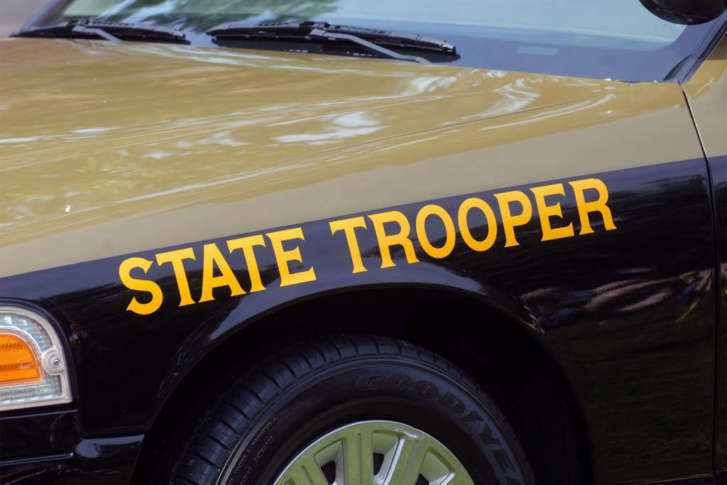 Around 10:30 a.m., Maryland State Police received several calls about a black Ford F-150 pickup truck that had hit at least one vehicle on northbound Interstate 270 at the Urbana exit. A short time later, police received more calls about the same truck ramming another vehicle on westbound Interstate 70 near Frederick. Troopers spotted the truck on I-70 near US Rt. 40 and followed it. The driver, 46-year-old Ted MacDonald — a Laytonsville, Maryland, resident — initially stopped when troopers pulled him over, but then immediately jumped back into the truck and drove off, police said. MacDonald led troopers on a chase onto MD Rt. 63, where he drove through several red lights before he finally stopped again near the intersection of French Lane. Police say he exited the truck carrying a loaded handgun, which they ordered him to drop. MacDonald threw the gun into the bed of the truck before threatening troopers with a folding knife he pulled out of his pocket, according to police. After several more orders to drop the knife, MacDonald dropped it, and police arrested him. MacDonald initially resisted arrested, police added. Upon MacDonald’s arrest, troopers found a .40 caliber handgun and two fully loaded magazines. MacDonald is being charged with reckless endangerment, second degree assault, transporting/carrying a concealed weapon and multiple traffic violations. Additional charges are possible, pending the police investigation. No troopers were injured during the incident. There were no reports of injuries for the occupants of either vehicle MacDonald struck. MacDonald refused any medical assistance or transport by ambulance for a checkup. No troopers were injured.